Michael Trotter begun training racehorses in 2006 with his Father Pat Trotter at their 20 acre training facility located at Devon Meadows on the outskirts of Melbourne. Michael has had a lifetime of experience with the throughbred, born into the horse racing industry growing up alongside his Father Pat Trotter, successful jockey and trainer. Michael started a career as a small business owner operator with a water proofing company. When his Father ventured into his training career, Michael helped out at the stables in his spare time. Michael is a trainer who enjoys keeping his horses fresh through a variety of training methods. He has a hands on approach to training and couples this with his ability to ensure the training regeime he gives his horses are programmed around his charges individual needs. He has the great ability of being able to ride his horses in work gauging both their ability and fitness levels. If his enthusiasm, background and committment is anything to go on, Michael's career in racing will go from strength to strength, with 7 winners and 10 placings from his last 32 starters. Pat has over 45 years experience in the racing industry having ridden over 1700 winners as a jockey including multiple group and listed races, before becoming a successful trainer. 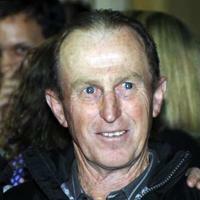 He was a leading figure among Australian jockeys in the 1970s and 1980s. Pat spent 6 years paving the way with a succesfull stint in Hong Kong before returning to Australia where he continued to prove he was one of the top jockeys of his time. He will be mostly rembered for his wins on Analight in the 1976 Caulfield Cup, and is unbeaten record on Reckless (trained by Tommy Woodcock) who one the Adelaide, Brisbane and Sydney cups all in the same year followed by a narrow defeat to Golden Black in the Melbourne Cup, also in that year. After a few years out of the saddle, Pat returned to the racetrack in a different capacity, that of training horses.His move to training was a natural progression for a man so passionate about racing. 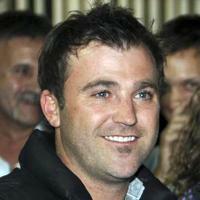 He is a successful trainer with loyal owners and staff. Pat's work with horses is for the love of it and a passion to succeed. With a competitive spirit and eye for talent, these qualities contribute to his capacity as a respected trainer. "As with everything I do, I am 100% committed to focusing on the job at hand". Pat continues to train with the same enthusiasm and drive as the day he started.